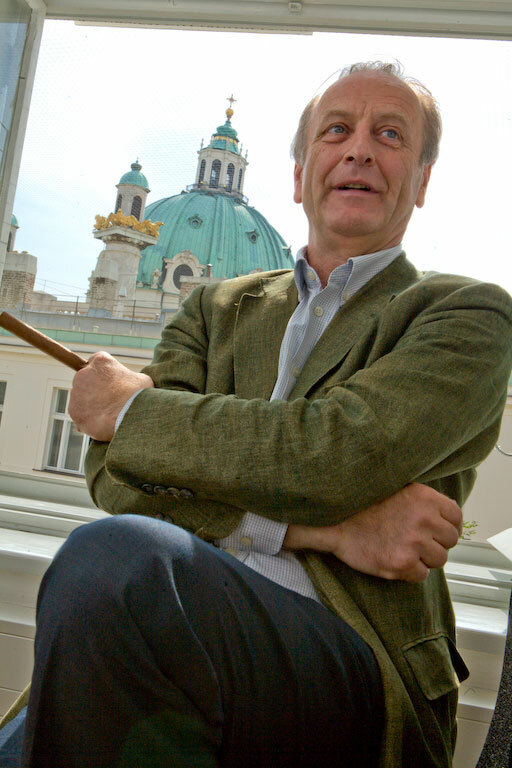 Manfred Wolff-Plottegg, architect, was born in Schöder, Murau, Styria in 1946. He studied at the Technical University of Graz, the Beaux Arts Academie, Paris and Salzburg Summer Academy, graduating in 1974. Running his own architectural practice as registered architect since 1983, he has been teaching at various universities, including Graz Technical University, Linz Design School, Innsbruck University and Munich Technical University. Moreover, he has given guest lectures in academies and universities all over Europe and North America. Since 2001 Professor of Building Theory & Design / Vienna University of Technology. He has taken part in numerous exhibitions and competitions and received prices such as the Austrian Concrete Construction Prize, the Geramb-Award for good design, the Architecture Prize of Steiermark and the Austrian Aluminium-Architecture-Prize. His books include Architektur-Algorithmen (Passagen Verlag Vienna 1996), Das binäre Haus 1989 (Architekturgalerie Munich) together with numerous articles in leading architectural publications.